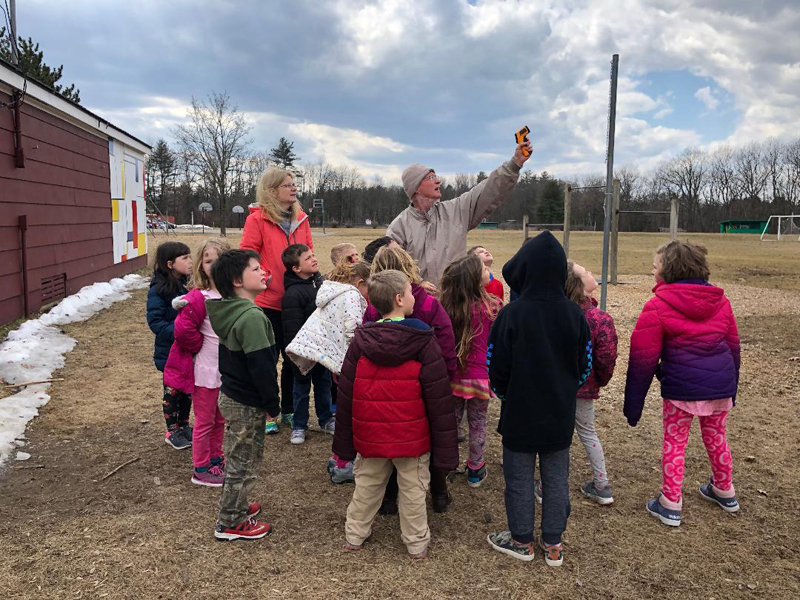 Alan Betts, PhD, a climate scientist with the Vermont EPSCoR BREE program, visited Lothrop Elementary School in Brandon, Vermont on April 3, 2019 to introduce students to weather and climate science. 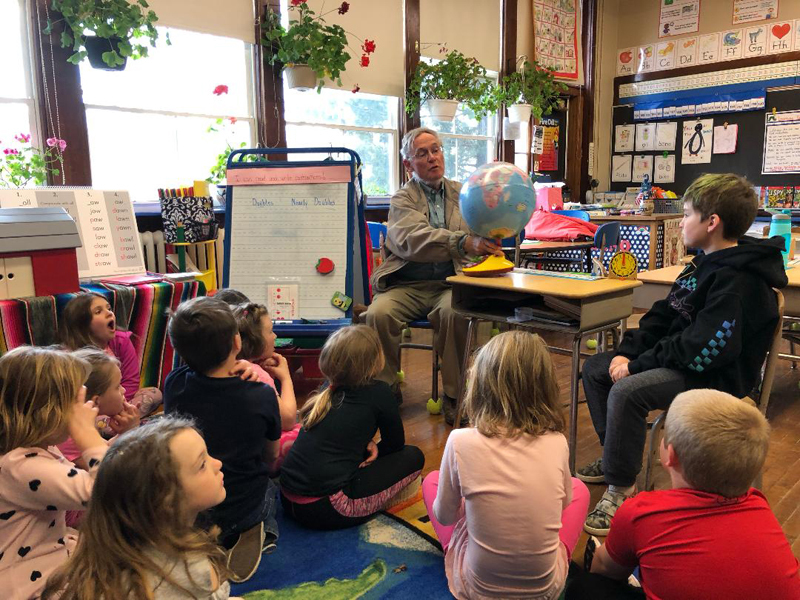 Dr. Betts explored the concepts of weather and climate with Mrs. Greeno's 1st grade class, offering discussion and answering questions for 75 minutes. Following this introduction, Dr. Betts took the class outside to examine the weather and sky. He also showed students how to measure temperatures with an infrared thermometer. 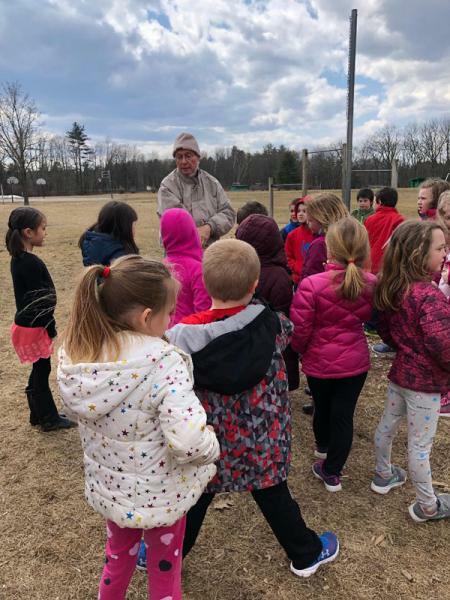 Dr. Betts will return in May 2019 when the trees are in leaf to teach the elementary students about trees and the water cycle.